Jade is by far one of the oldest decorative gemstone with a real use and certain health properties, such as good for kidneys and overall health. You might ask yourself what has a stone to do with health, kidney etc.? they ground the stone and drank the outcome. 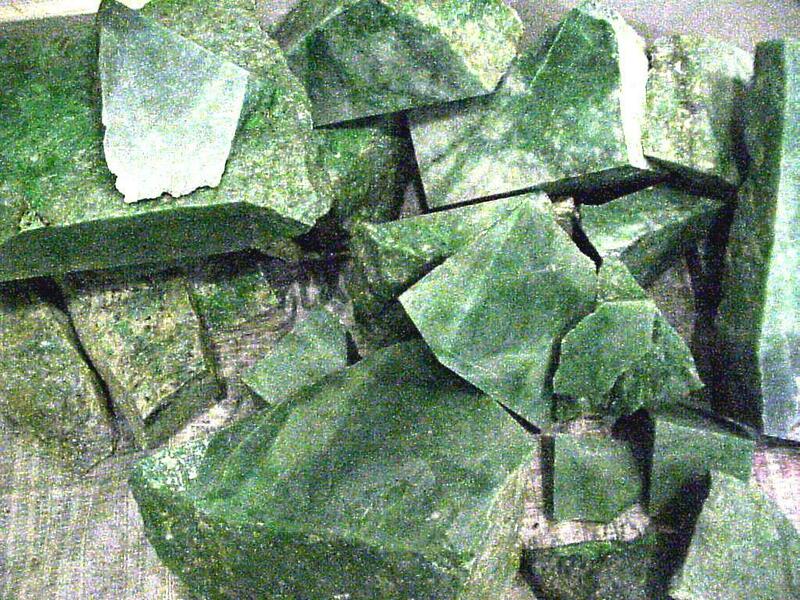 There are two types one is jadeite, that’s the good thing and is rare, the other is nephrite and is abundant. Jade Mining in Myanmar's Kachin State & China is a risky business. Jade mining is done deep in the mountainous jungles of northern Burma; this territory is still claimed by the Kachin Liberation Army KLA as their domain. Natural jade jadeite and Nephrite can be purchased as raw mineral and in the shop as jewelry means buying jades. To start this chain jadeite is mined in Kachin state Myanmar, boulders extracted from dykes until now are up to around 10 to 20 meters length up to around 8 meters und around 5 meters thick. The boulder indicated here was around 10m to 20m below surface with a approximate weight of over 3000 tons. At the mines in Kachin State the rough mineral is produced, they were under Chinese rules about a thousand years ago. 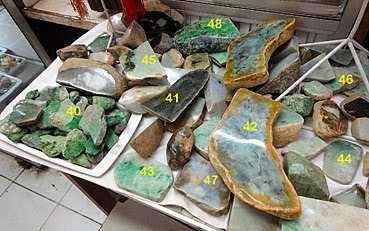 Today main nephrite source is Canada and there are other supplier e.g. New Zealand an Australia. All material is used to make jewelry, sculptures such as Buddha statues, ornaments and for decoration. Jade West is one of world's largest producer and exporter of nephrite Jade, operating three mines located in Northern British Columbia, 100 miles east of the Alaskan Border. During a short summer mining season, when the area is free from snow, Jade West annually mines 100 tons of jade for export to China. Jade West is also the exclusive supplier of the newly discovered POLAR JADE, described by FRED WARD in the Lapidary Journal, November 1998, as, "the newest, brightest, most translucent, greenest, hardest nephrite yet discovered."